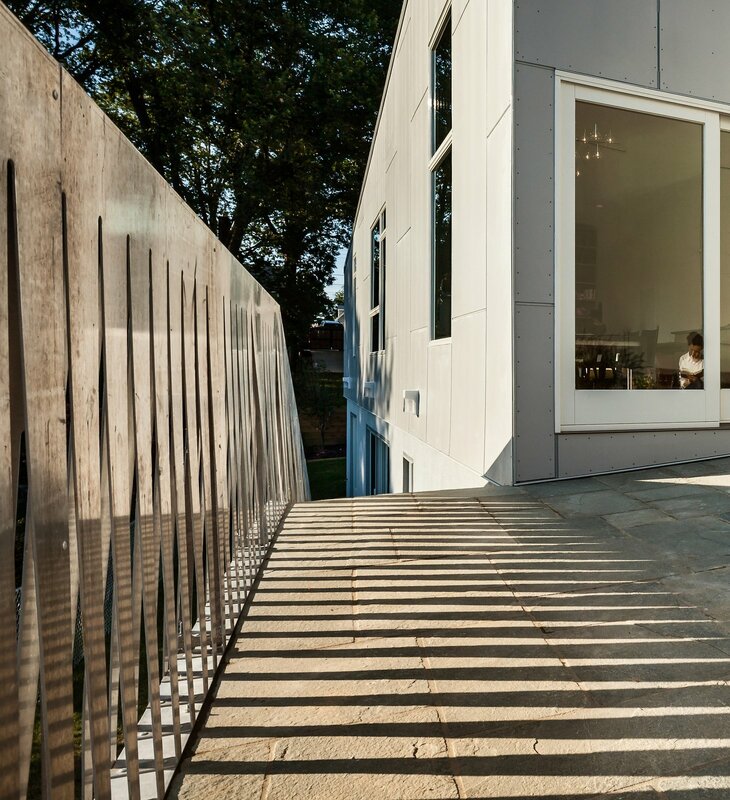 An aluminum water-jet cut fence divides separates the house from its neighbors. "My favorite part of the courtyard," says Höweler. He and Meejin took one sheet of metal and cut it down the middle in a zig-zag pattern. "It produces a 'screen' look and creates beautiful shadows. I like that it is materially efficient—there is zero waste of material since both sides of the sheet are used."